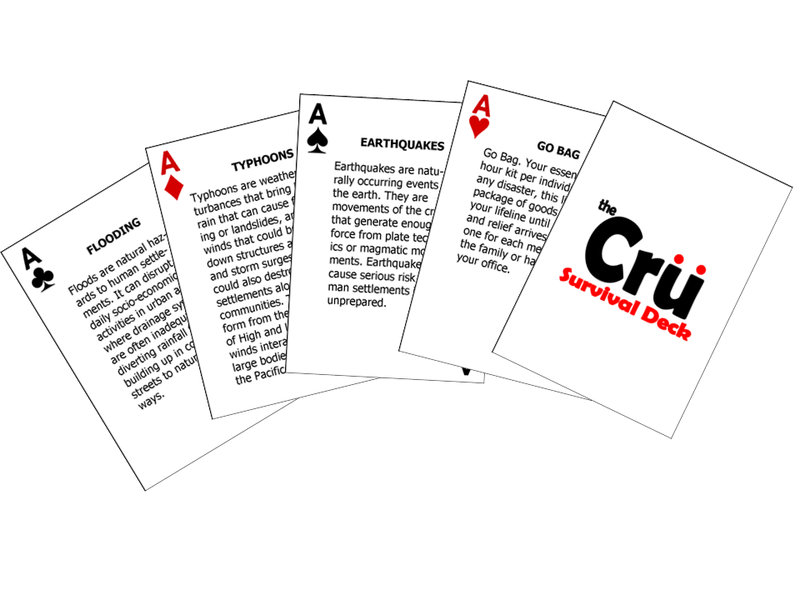 The Cru Survival Deck is a customized standard poker size card with information on disaster preparedness. This is ideal for disaster preparedness education and as part of any survival kit. How can I get a physical or digital copy of the Cru Survival Deck?